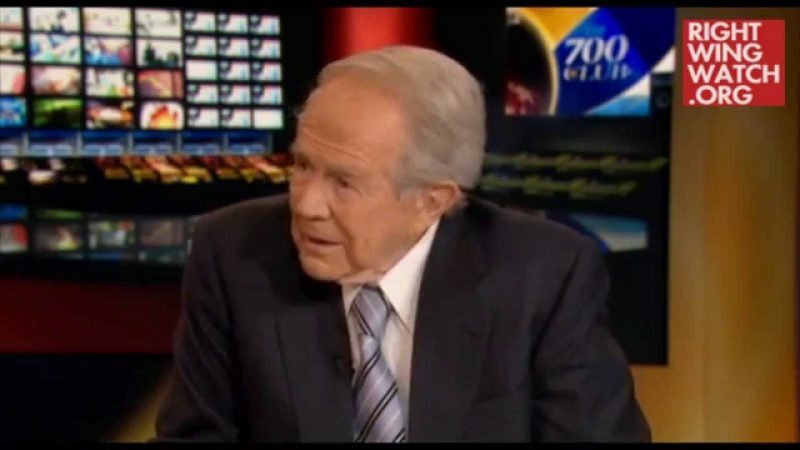 This week The 700 Club is hosting a series about the End Times, and host Pat Robertson says he has identified the Antichrist: Islam. 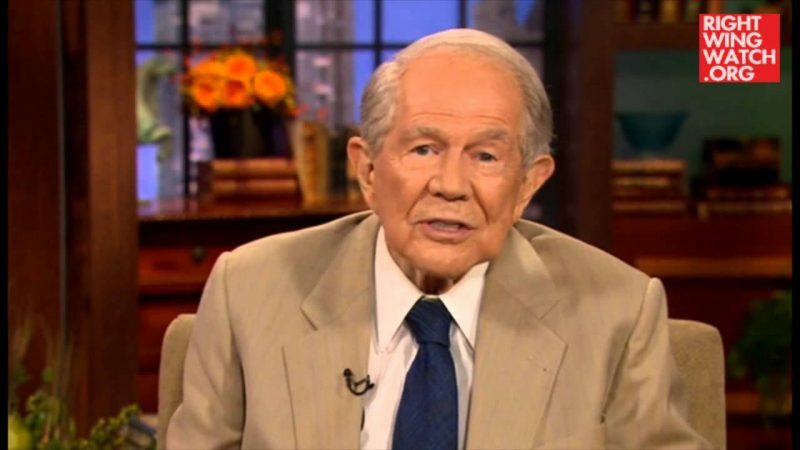 Robertson, a fierce critic of Islam who has likened Muslims to Nazis, told co-host Terry Meeuwsen during today’s program that Islam is the Antichrist which will usher in the end of the world. 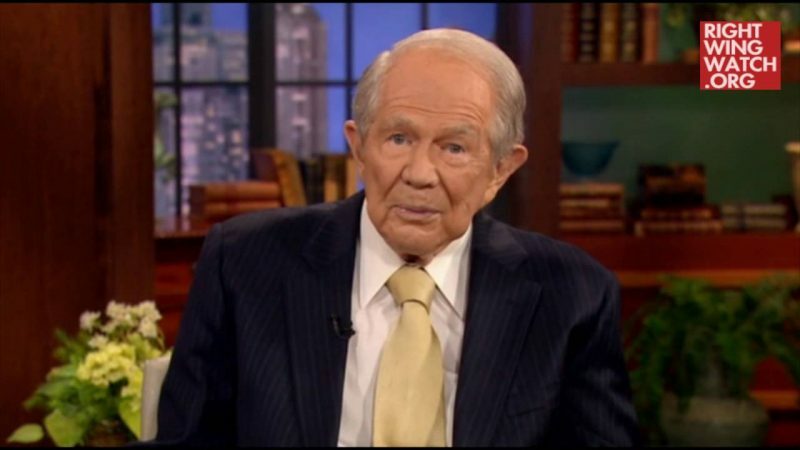 Recently, Robertson has been regularly warning of a treacherous alliance of radical Muslims, progressives and the media that he contends is seeking to destroy America and Christianity. 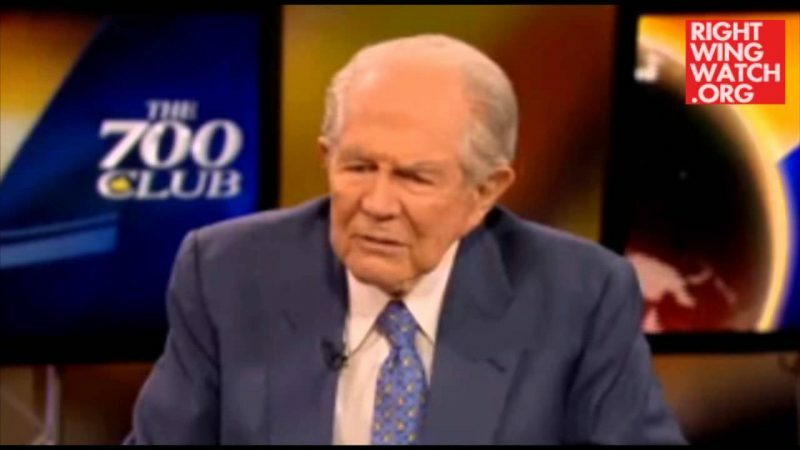 Robertson: I think the Antichrist is Islam. I really do, and I think it’s a system. Meeuwsen: It’s a system more than person? Robertson: It’s both, it’s centered on Mohammed, who defied Jesus, he said Jesus wasn’t the son of God, I mean that’s Antichrist. And I think the system is the Antichrist system, because they’re trying to destroy the Jews and there’s a hatred, a virulent hatred, of Christians and Jews. So could that be it? I think.